I second that request! 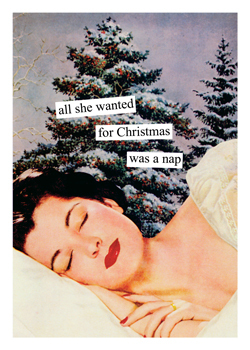 Wishing for a restful Christmas. Amen to that! And a full nights sleep wouldn't hurt either. Ahhh...I took a 5 hour nap today after church. Not good for the agenda...but good for the body and mind! You have happy mail coming from me. Should be there tomorrow! !